Forget about entrusting your residential cleaning needs to untested technicians. At Merit Carpet Cleaning, you’re in good hands. We offer a wide range of cleaning services in Regina, SK and the surrounding area that are personalized according to your specific needs. We take great care of your carpets, upholstery, furniture, and flooring. You can always depend on our team to be respectful of your home and treat your belongings as if they were their own. If you are searching for industry-leading carpet cleaning services, turn to Merit! For your peace of mind, we clean carpets with products that are safe for your health. These products clean thoroughly without causing harmful effects on children and pets. Why break your back scrubbing upholstery when our team can do it for you? Our staff can also clean all types of furniture! Take advantage of our services to Scotchgard your carpet or upholstery fabric. There’s nothing worse than having moldy tiles in your home or place of business. Say goodbye to grimy flooring with our professional ceramic tile cleaning solutions! We use amazing products to strip and finish your dull floors to leave them brilliant looking. For prompt flood and emergency cleanup services, give us a call at once. We will get your home or business up and running again in no time! 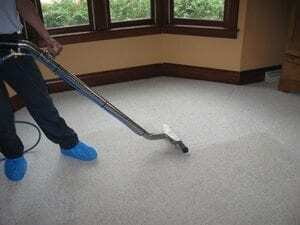 Why Should I Get My Carpet Cleaned? Cleaning helps with the life cycle of the carpet itself, making it last longer compared to carpets that are not maintained properly. In addition, regular cleaning helps keep the carpet looking and feeling like new. Furthermore, regular cleaning provides health benefits because it removes dirt and grime in and on your carpet. These substances may be harmful to your health. For questions about our company and the services we offer, call or text us today. We can work around your timetable to guarantee that your operations remain undisturbed. If you need us to do the job during mornings, evenings, or even weekends, we are happy to be at your service! © 2018, Merit Carpet Cleaning. All Rights Reserved.